Do you find that your hearing somehow affects your ability to drive safely and efficiently? 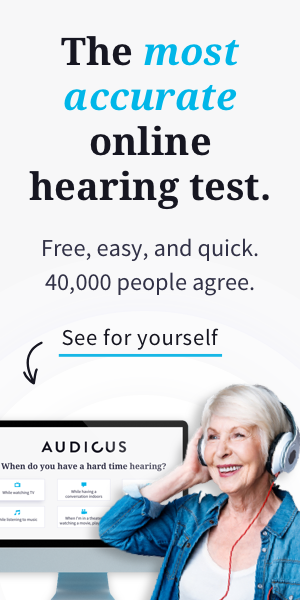 Learn more about driving safely with hearing loss in this week’s Audicus blog! Hearing loss, while often times inconvenient and aggravating, might also be risky when you’re behind the wheel of a car. Not being able to hear the voice of a person, the calls of an animal, or the honking of a car horn could spell trouble when you are operating a vehicle. The sound cues that we normally rely on to navigate the road safely, including horn honking, the whistle of a traffic director, and the bell ringing of bike passengers that dart through traffic, become harder to detect and might even go unnoticed. One of the best ways to function with hearing loss while driving is to treat the hearing loss. Make sure you wear your hearing aids while operating a vehicle and continue to have regular hearing aid checkups. Be sure not to have long-term exposure to sound stimuli that can negatively impact your hearing, such as loud music, noise from a construction site, and extended noise from events like a music concert. Multitasking can be a great distraction while on the road. Texting and driving can lead to car accidents that result in severe injuries, and making phone calls is extremely distracting because it forces you to try to hear the voice of the person you’re speaking with. If necessary, pull up to the side of the road or into a parking lot if you encounter a problem that needs urgent attention. Loud music can not only damage your hearing after extended periods of time, but it can also be a major distraction that makes it impossible to hear sound cues from the external environment. Vehicles like ambulances or squad cars may be hundreds of feet away, but if you are at the front of a red light it is imperative that you can pick up on their relatively faint noises and move your vehicle accordingly. Keeping your eyes sharp while on the road is a given, but for people with hearing loss, it is especially important to use visual cues to make sense of your external environment. Pay attention to traffic signals and make use of your rearview mirror. Hearing loss makes it harder to pinpoint the relative distance of moving vehicles, so using your eyes is one of the best ways to protect yourself and those around you. The ability to hear sounds is not only important for the driver, it is important for pedestrians as well. Be sure to wear hearing aids when in the presence of traffic and listen for the sounds of cars or car horns when crossing the street. Sometimes your ears can help you when your eyes can’t!